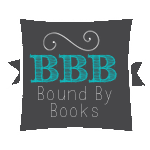 Bound By Books Book Review: Happy Release Day K Webster. Untimely You is LIVE! and here's a giveaway. Happy Release Day K Webster. Untimely You is LIVE! and here's a giveaway.